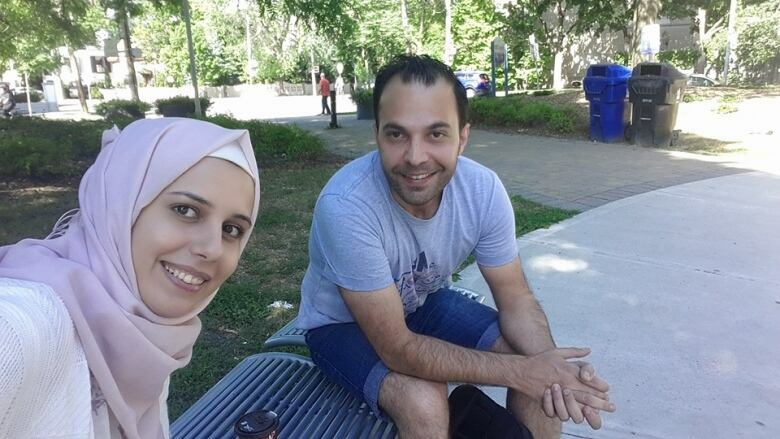 Members of the established Syrian diaspora in Canada are trying to bridge the gap between the wait for language services and demands on the ground from refugees who have arrived in Canada over the past year. When Hazar Najjar fled Syria for Turkey in 2011, she felt she had to drop out of university to save her life. 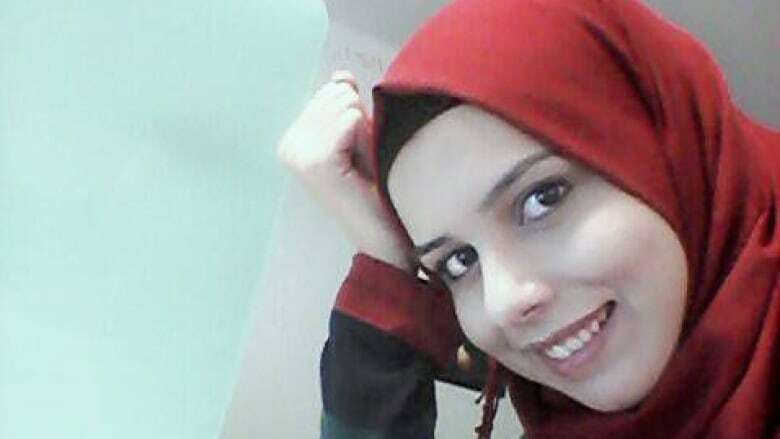 The 24-year-old arrived in Toronto in July with her parents and younger sister, dreaming that she could go to school again to study computer science and catch up on the five years of education that she missed. 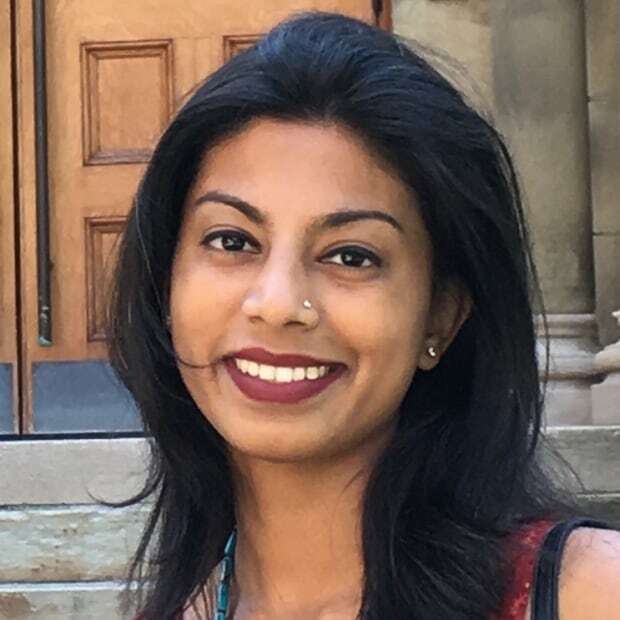 Despite attending English classes offered by the federal government, she still struggled to find answers to basic questions — how to get a phone connection, open a bank account or register for a course at the University of Toronto. "It was very hard," she says. "I couldn't understand anything." Feeling frustrated and scared is just part of what many Syrians describe as the newcomer experience in Canada, according to community groups across the country like the Syrian Refugee Support Group and the Syrian Women's Club in Calgary. With the next wave of Syrian refugees scheduled to arrive later this month, Najjar and the 25,000 other Syrian newcomers already in the country are struggling to understand Canadian culture and learn English in a short time. "The government is bringing in the most vulnerable people, which is great, but they need a lot of support," says Bayan Khatib, who co-founded the Syrian Canadian Foundation in Greater Toronto to provide English tutoring classes to those unable to attend ones sponsored by the government. Immigration, Refugees and Citizenship Canada says it's not possible to break down its settlement funding and say exactly how much language training has been provided, but the department indicated that the funding has been increased in all jurisdictions for the fiscal year 2016-2017. A significant portion of the new funding, it says, will be invested in language training. But refugees in various areas have faced long waits for language classes. Local reports have suggested that some newcomers from Toronto, Calgary and Vancouver are still on a waitlist. Khatib says accessibility is a problem for people with disabilities and for mothers unable to attend classes because of the lack of child care. The federal government says it is on track to meet its target of receiving 25,000 government-supported Syrian refugees by the end of 2016. As of Nov. 13, 21,708 Syrian refugees were resettled in Canada, with Immigration, Refugees and Citizenship indicating that approximately 3,600 additional refugees are expected by Dec. 31. The department says it's working closely with settlement service providers. But community organizers say the government is disconnected from the actual issues facing these new Canadians. "The government is very restricted by policies and procedures they follow," says Saima Jamal, co-founder of the Syrian Refugee Support Group in Calgary. Members of the established Syrian diaspora are trying to bridge the gap between the wait for language services and demands on the ground. Sam Nammoura, who co-founded Calgary's Syrian Refugee Support Group with Jamal, says private agencies can provide language services, but newcomers need the emotional support of friends to manage the stress of learning a new language. Of all the problems, support workers say finding a way to communicate is the most significant barrier for families who want to find housing or work. Najjar turned to a support group for Syrian newcomers called Dubarah, which loosely translates to "I've got your back," for help. The Canadian chapter of the group has more than 1,000 members on Facebook. Founded by another Syrian refugee who settled in Toronto, Ahmad EdilBi, Dubarah is slowly growing as more members of the Arab diaspora across Canada sign up to help newcomers overcome communication barriers and settlement issues. In other parts of Canada, newcomers have faced struggles with long waitlists for English lessons. Even so, earlier this year, large numbers of English lessons were being unused, primarily in Vancouver, Quebec and Toronto. But settlement agencies say that accessibility is a factor that hinders many from attending class. Cindy Colman, director of language and training programs at the Centre for Newcomers, a non-profit in Calgary, says the centre has 400 refugees on its waiting list. Colman's group has asked the government to consider the personal struggles refugees face. "Maybe it's not a language class before they've dealt with medical and housing issues," she says. 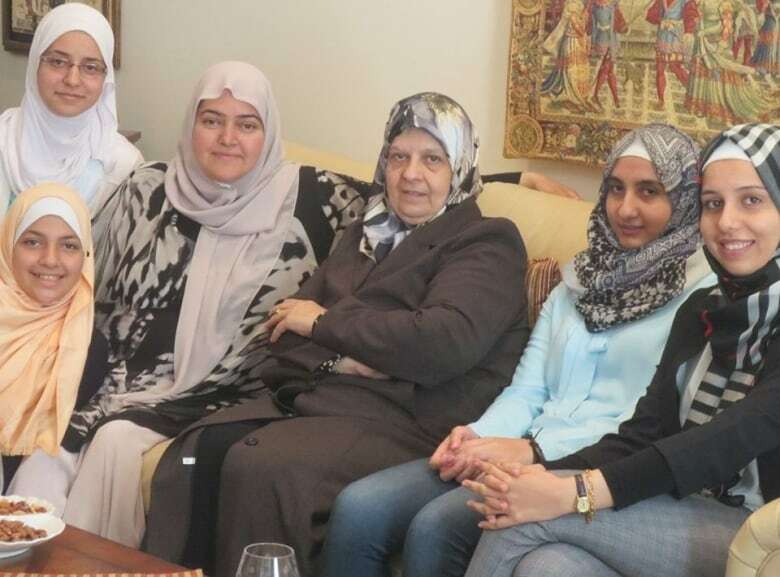 Syrian Canadians like Ghada Alatrash of the Syrian Women's Club in Calgary say many Canadians fail to understand that Syrians are not a homogenous group. More than 1,000 refugees have settled in Alberta, where the wait for language lessons has been as long as 10 months. Over the past year, the Syrian Refugee Support Group, the Rotary Club of Calgary and the Syrian Women's Club have been actively matching Syrian families in Calgary with Canadians to help them build personal connections and practise English. Nearly 800 Canadians have signed up with the Syrian Refugee Support Group to help newcomers learn English and settle in. Settlement agencies are working with these local groups to reach out to others who are falling behind; mothers who miss classes because of limited caregiving options, those living with a disability or seniors who need support. Informal, makeshift English classes are also cropping up in community centres, church basements and other areas as Canadians make up for government delays in language services. At the Rockyview Alliance Church in Calgary, volunteers conduct group lessons in the church's café area for about 40 newcomers. First-person testimonies delivered by settlement agency representatives to the federal citizenship and immigration committee in June focused on the socio-cultural gaps in language services. In an email, Immigration, Refugees and Citizenship said that in 2016-2017, the government intends to invest more than $600 million to support settlement needs outside Quebec. This is an increase from the $455 million that it planned to spend in 2015 for Syrian refugee resettlement. Since April 2016, the department says nearly 7,000 language training seats have been added across Canada outside Quebec to cope with demand. The government has also added child-minding spaces in classes and transportation subsidies to improve access. A further $600,000 will be invested in short-term grants to fund 25 research projects on issues that affect the successful resettlement of refugees. Despite the promise of more investment, anxieties around language barriers are rising. In Toronto, Najjar, who is still attending English classes every day with her parents, hopes things will change soon, especially for newcomers with low literacy levels. "I don't think schools here are equipped to handle these cases." Meera Vijayann writes on gender rights and social development and has reported extensively from India. She is a fellow in journalism at the Munk School of Global Affairs.